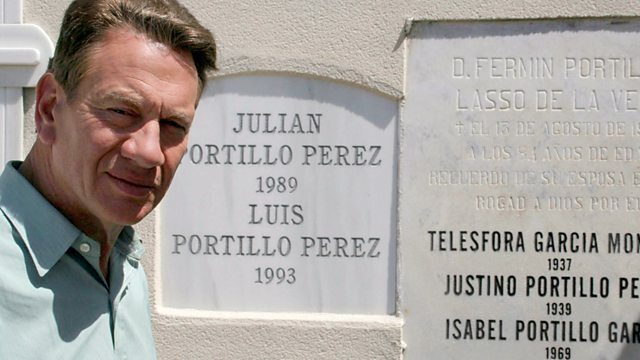 Michael Portillo lifts the veil on the familiar vision of Spain to reveal a nation in trauma - examining its past and exhuming bodies from mass graves all over the country. A personal journey for Michael Portillo into a story which may come as a shock to people whose knowledge of Spain comes from taking holidays on the beach. Lying just beneath the surface of the ground, all over Spain, are the bodies of tens of thousands of people in unmarked and very often mass graves. For most of the last seventy years, since the end of the Spanish Civil War, these were known as the 'Graves of Forgetting'. The country was ruled by a dictatorship until the late 1970s and no-one dared speak out about the dead and the disappeared, of whom there could be as many as 200,000. It is only now that Spain is getting to grips with its past - recognising the terrible crimes that were committed under General Franco's dictatorship and encouraging people to speak about their memories and the loved ones they lost. Many of the graves are being excavated and the bodies removed for reburial, while others will be turned into memorial parks. One excavation is taking place just moments from the beaches and bars of Malaga. No Spanish family was untouched by the civil war and the repression that followed, and Michael Portillo's family is no exception. His father supported the democratic government and when Spain fell to Franco, Luis Portillo spent the rest of his life in exile. As Michael discovers, while his uncles were fighting and dying for Franco, his father fought, unarmed in order to be certain that he could not kill a brother, for the republic. This is a journey into a place we thought we knew so well, but discover, through the stories told by a variety of characters, that we hardly knew at all.